The end of news websites? The question is no longer just a hypothetical one. With increasing convergence between social media and traditional content, what is known as a traditional news website might not exist in the coming years. 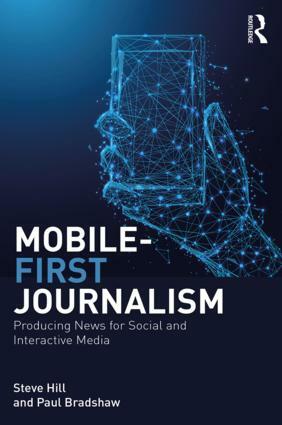 Perhaps a revealing example is the creation of Facebook applications by a Seattle-based aggregator, NewsCloud, which received a grant from the Knight Foundation to study how young people receive their news through social networks. This entry was posted in online journalism and tagged facebook, future journalism, mashup, newscloud, onlinejournalism, socialmedia, web 2.0 on July 8, 2009 by Paul Bradshaw. The bottom has fallen out of the traditional publishing business model–and with it goes the hefty dividends expected by shareholders (e.g. £48.4m in 2008 for the Trinity Mirror Group). The future of local quality journalism can only remain with the current crop of regional newspaper publishers if they radically change their expectations, and innovate. That might not happen. If it doesn’t, they will die off, and the future of quality local journalism will take a huge – but not definitive – blow. Then the future lies with new initiatives and the local communities themselves – passionate and entrepreneurial people, only some of whom will be journalists. What about local council initiatives to publish newspapers and local information? That’s not the way to go – covered in Part 3. This entry was posted in online journalism and tagged After the Crunch, Age of Stupid, Alex Lockwood, andy burnham, crowd, crowdsourcing, Culture Media and Sport, DCMS inquiry, Digital Britain, funding, future journalism, future newspapers, lettertogovt, local journal, local newspapers, mashups, peter preston, spot.us, training, Trinity Mirror on May 6, 2009 by Paul Bradshaw. What’s the future for local and regional media? The government has launched a new inquiry into the future of local and regional media – and there’s just six weeks to have your say on the subject. Opportunities for “ultra-local” media services. We’re thinking about a collective response from journalism educators and OJB readers to the key questions, coordinated from here. So to begin with, what are your ideas, links to the best think pieces you’ve read or examples you’ve seen? Do you agree with the call to relax competition laws to allow local newspaper publishers to merge? Or what about Andy Burnham’s statement that there will be no bailout for local papers. Let’s use this as a starting point to develop a collective, crowdsourced response to the inquiry. This entry was posted in online journalism and tagged andy burnham, Culture, DCMS, enterprise, future journalism, government, local media, Media and Sport Committee, regional media on April 3, 2009 by Paul Bradshaw. Financial crisis, digital revolution, crumbling media companies – these are shaky days for media and everyone involved in the field. How can journalism students make sense of it all? This entry was posted in online journalism and tagged al jazeera, Alexandros Koronakis, barack obama, Ben Hammersley, brussels, changes, Dardis McNamee, Deutsche Welle, digital news affairs, dna09, european journalism centre, financial crisis, future journalism, Guido Baumauer, jodi williams, matt cowan, New Europe, premier digital services, Reuters, Richard Gizbert, Vienna Review, Wilfried Rütten, Wired on March 5, 2009 by Paul Bradshaw. While everybody in journalism is wondering how the future of media looks like, entrepreneurs try to shape it. They develop new products and services that maybe could be the next big thing in journalism. OJB asks those entrepreneurs three simple questions in a series of interviews. First up: Shafqat Islam from NewsCred. 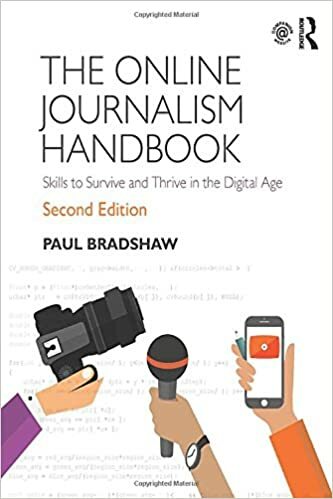 This entry was posted in newspapers, online journalism and tagged community, crowdsourcing, future journalism, future newspapers, future of journalism, newscred, startups, user participation on March 2, 2009 by Paul Bradshaw.